PROFIBUS (Process Field Bus) was initially a bus developed by Siemens for fieldbus communication in automation technology. In 1987, companies and institutions joined forces with the goal of creating a standard for field-suitable and bit-serial buses. Initially (1989), the PROFIBUS was promoted by the BMBF (Federal Ministry for Education and Research). Nowadays, the PNO (PROFIBUS User Organization) is the main body. 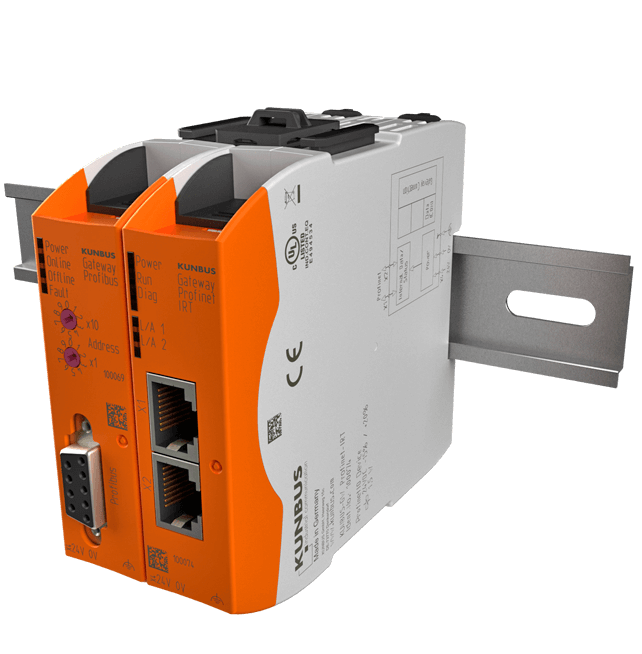 The standardization of the fieldbus interface should be the basis for propagation of the fieldbus in manufacturing and automation engineering. For this, a common technological concept was agreed upon, as well as a uniform communication model. The PROFIBUS was then standardized in the international standard series IEC 61158. PROFIBUS is a multi-master system and permits common operation of actuators/sensors, engineering systems, and visualization devices on a common, real-time capable bus. Because of its low costs, the real-time capacity, the standardization, its technological stability, and its universal applicability, it has already become a leader on the world market. The protocol architecture is based on the OSI layer model (ISO 7498). We offer you communication modules in two standard versions. Within these versions, the modules can be used as option cards because of the same pin-out.